This post is sponsored by Keepy and contains affiliate links to the products mentioned. All opinions expressed are my own. 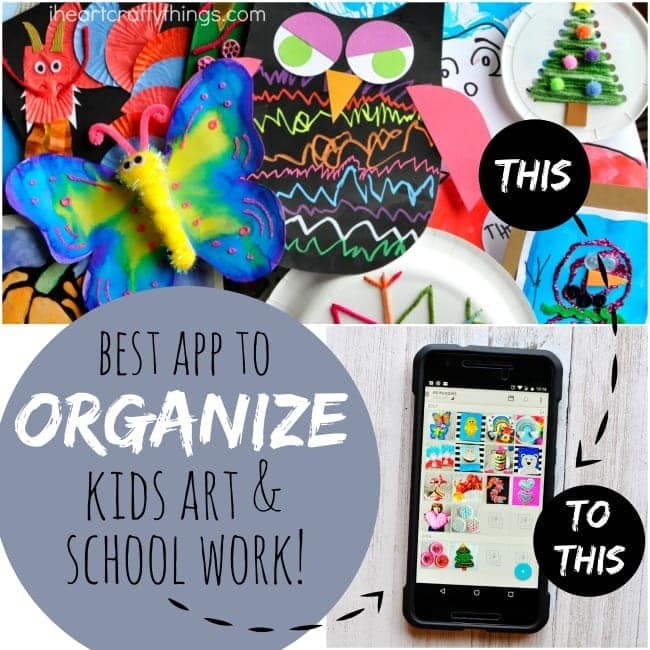 We hope you find our solution for how to organize kids artwork and school work helpful. Who else has an overwhelmingly huge and heaping pile of artwork, crafts and school work somewhere in your house that you don’t know how to efficiently organize? The struggle is real friends! Whenever I approach the pile my heart breaks into a million tiny pieces as I try to decide what is worthy of keeping and what I should throw away. Oh, and then my kids are right behind me with the same exact struggles. 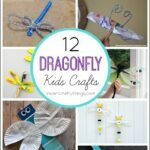 With the amount of crafts we make at my house it’s no surprise that one of the most frequent questions I get asked is how to organize kids artwork and school work. While on my quest for the best way to organize my children’s art and school work, I learned about the Keepy App. I downloaded it and immediately thought hello…where have you been all my life?! 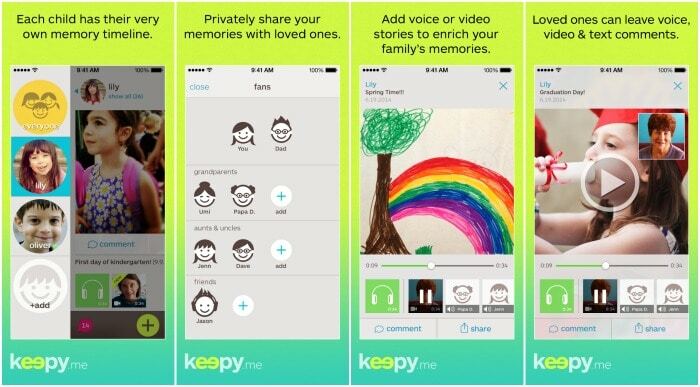 Keepy is an app available on both Android and iPhone where you can save your kids’ artwork, schoolwork, photos, videos, and keepsakes. Everything downloaded to the app can be enriched with voice and video narration. It’s private and you choose who to share your account with. Best of all, you can have the artwork printed into a book or cards. Adding a photo or video in the Keepy app is really simple. 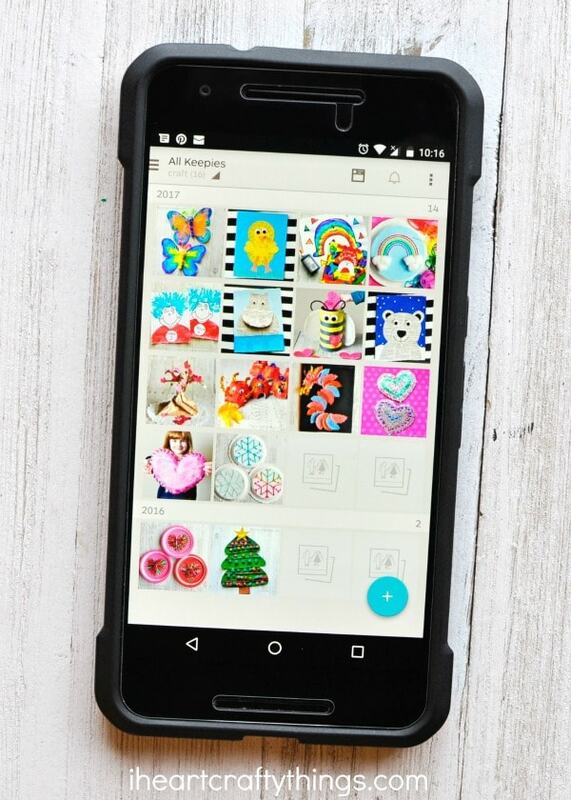 After you have taken a photo of your child’s artwork simply click the blue circle in the bottom right corner of the app with a plus on it and choose which option you would like to download. Make any edits to the photo you want then you can customize the photo to add a description, voice recording, date, place and category. Choose which of your fans you’d like to share it with and you are done! 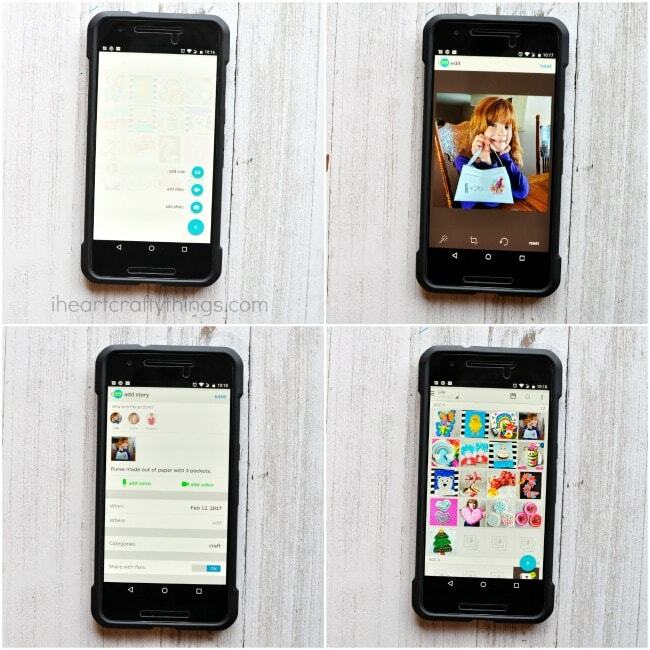 From here fans are able to see the artwork you’ve added and can heart the photo, comment on it or even leave a video recording for your child to see. Here is a craft my daughter and I recently made together. 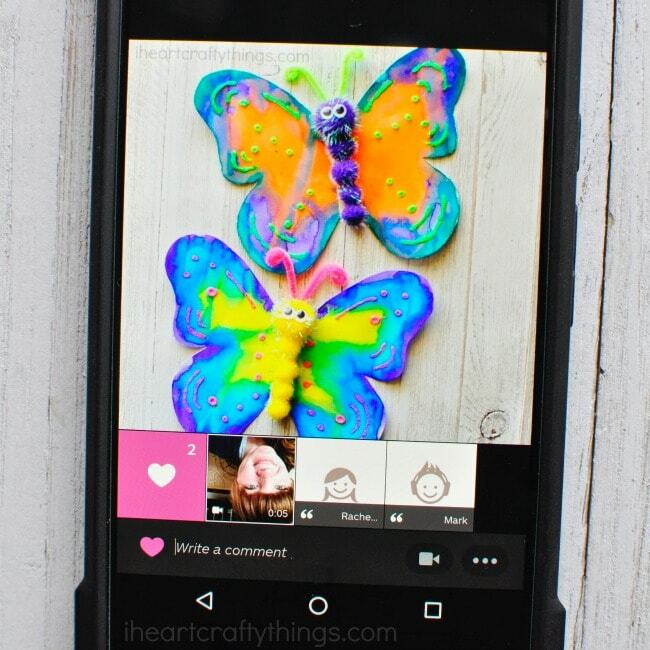 You can see at the bottom of the photo both my husband and I hearted the picture, left a comment and I left my daughter a video to watch telling her about how much fun I had spending the afternoon making colorful butterflies with her. Super sweet right?! The fans feature of the app is especially fabulous for people like me who don’t live near family members. Now Grandparents, Aunts, Uncles and Cousins can see what we are up to and can share in the joy of it with us. Keepy is not limited to just artwork and school work! Another reason I love the Keepy app so much is that it’s not just limited to storing art and school work photos. You can store any memory in it. So all of those hundreds of photos you’ve taken over the last year have a category just waiting for them. 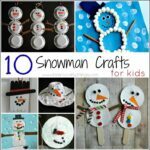 Everything from birthdays, camp, dance, family outing, holiday, oops!, playground, selfie and so much more…They even have a category for all of those awesome Lego creations! Also, how about all those times your kids say something drop dead hilarious and you want to remember it forever? You can add it as a note in your Keepy app and you’ll have it to look back on and laugh all over again. Genius huh?! What do I do with all of the photos in my Keepy app? This is the best part friends! Now you can say goodbye to that big pile of unorganized artwork and school work that you’ve been avoiding because you can take all of the photos of them in your app and have them made into a beautiful photo book that you can keep forever. No more guilt over throwing away most of that artwork! You can also have fridge magnets, cards and other products made for Grandma of those artwork pieces that she adored! You can download the Keepy app today for FREE and give it a try! Watch this short video to learn more about Keepy. What tips and tricks do you have for how to organize kids artwork and school work? We’d love to hear! Drop them in the comments below. I love the Keepy app and recommend it often to my clients! I didn’t know you could do other things with it! Thanks for the heads up – great post! I’ve never personally used this app, but think it’s brilliant. 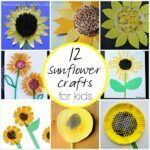 So many parents struggle with a large amount of artwork and projects and creativity generated by their kids. Those boxes (if they have boxes) take up precious space. This app is a wonderful way to honor the development of our children in an accessible and shareable way. Love this! What a great idea! One of my daughters produces so much art, my entire house looks like a gallery. I’ll have to check the app out. Thank you for sharing this. I didn’t even know this app exist. I download it immediately. Have been throwing away a lot of my gal’s artwork and felt quite guilty about it. But it just too much cluttered at home. So glad this apps can help me keep the memory of her work. Thank you so much for sharing.